Published Mar 1984 by Marvel. 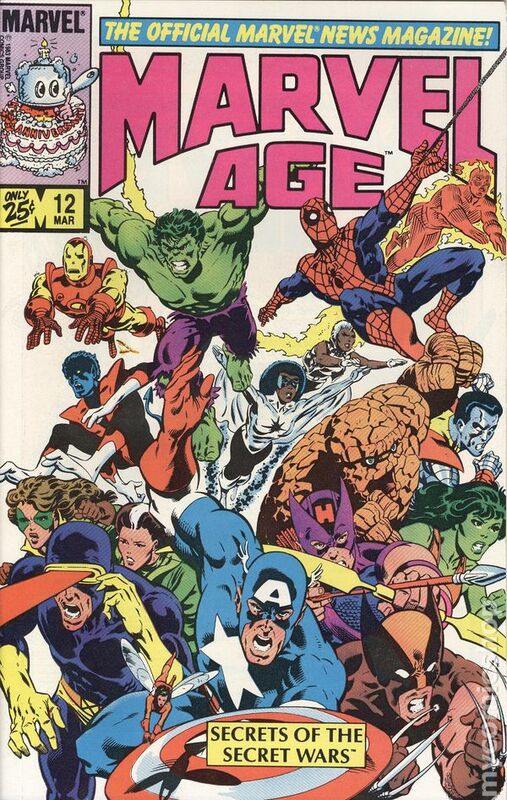 It's the big Marvel Super Heroes Secret Wars Issue! Get a preview on all the stuff from the historic series! PLUS! See Spider-man's black costume sketches in a comic that came out 2 MONTHS BEFORE Amazing Spider-Man # 252 (and Marvel Team-Up # 141 & Spectacular Spider-Man # 90. Secret Wars # 8 came out 7 months later). So... would this be the ACTUAL FIRST APPEARANCE of the alien costume that later becomes Venom? Article on Secret Wars, with designs of Spider-Man's new costume; Associate Editor Jo Duffy discusses Heartburst; writer Jim Salicrup discusses The A -Team; Secret Wars. Cover by Mike Zeck and John Beatty. Cover price $0.25. Plot by STAN LEE AND STEVE DITKO Written by Mike Raicht Penciled by Derec Aucoin Cover by Michael Ryan "THE MENACE OF MYSTERIO" There's a new criminal in town and his name is... Spider-Man?! Is Spider-Man committing crimes in his sleep? Is he losing his mind? 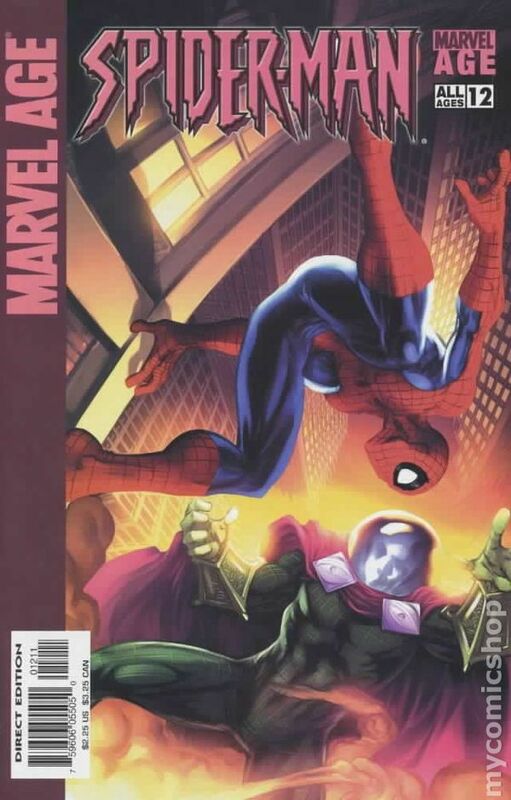 The only one who may know the truth is the man of mystery known only as Mysterio! Get out your paddles, True Believers, because Spider- Man may just be heading up the river! 32 PGS./ALL AGES...$2.25 UPC: 5960605505-01211 Cover price $2.25. 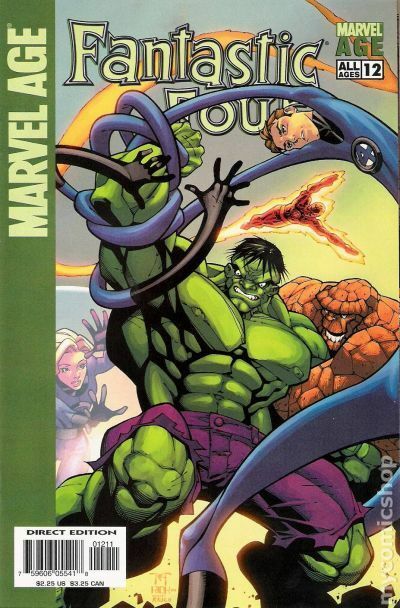 Plot by LEE & KIRBY Written by MARC SUMERAK Pencils by JOSEPH DODD Cover by RANDY GREEN "The Fantastic Four Meet the Incredible Hulk!" Titans clash as the Fantastic Four encounter Marvel Age's mightiest monster, the Hulk! But will the combined might of the FF be enough to stop his rampage? Plus, it's the green goliath versus the ever-lovin' blue-eyed Thing in a battle that's certain to go down in history...again! 32 PGS./All Ages ...$2.25 UPC: 5960605541-01211 Cover price $2.25.